Touring music of the masters as well as exciting original works from visionary composers of our time, the Fry Street Quartet has perfected a "blend of technical precision and scorching spontaneity" (The Strad). 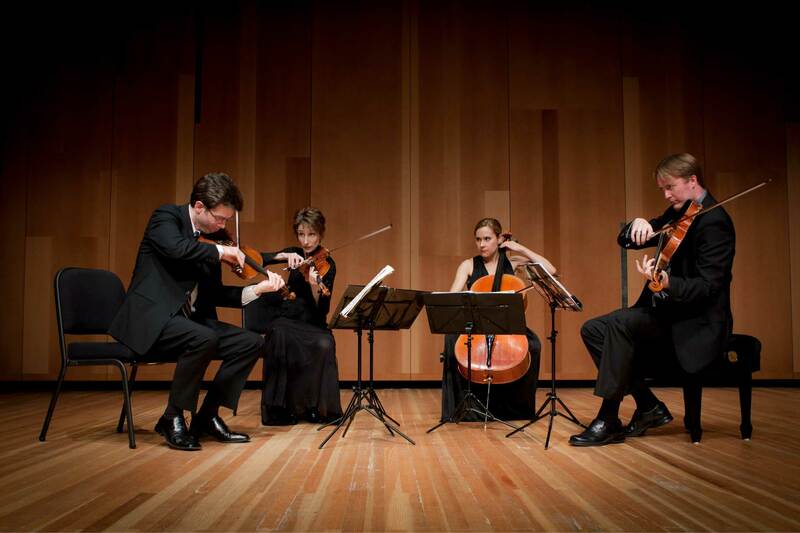 Since securing the Grand Prize at the Fischoff National Chamber Music Competition, the quartet has reached audiences from Carnegie Hall to London, and Sarajevo to Jerusalem, exploring the medium of the string quartet and its life-affirming potential with "profound understanding...depth of expression, and stunning technical astuteness" (Deseret Morning News). The quartet's significant touring history includes performances at major venues, festivals, and for distinguished series such as Carnegie Hall and the Schneider Series at the New School in New York, the Jewel Box series in Chicago, Chamber Music Columbus, the Kravis Center in West Palm Beach, the DiBartolo Performing Arts Center at Notre Dame, the Theosophical Society in London, and the Mozart Gemeinde in Klagenfurt, Austria. The quartet also enjoys a continuing residency with the Salt Lake City-based NOVA series. Projects have included the Schoenberg Chamber Symphony under the direction of Utah Symphony Music Director Thierry Fischer, the Utah premieres of string quartets by Michael Ellison and Andrew Norman, and frequent collaborations with members of the Utah Symphony.